“My passion is putting training and education in a resourceful way back into LAMI countries”. Emeritus Professor of Mental Health and Cultural Diversity at the Institute of Psychiatry, Psychology and Neuroscience at King’s College London. Past President of the Royal College of Psychiatrists. Currently President of the World Psychiatric Association for a three year term, 2014-2017. Non-Executive Director Tavistock & Portman NHS Foundation Trust (special interest in BAME needs and cultural mediation). A well-known authority and commentator on social and public health psychiatry: cross-cultural psychiatry, migrant mental health, professionalism in psychiatry, depression, psychosexual medicine, service provision and decision-making. Contributing frequently to print and web journalism. A prolific author/editor of over 30 books, 90 book chapters, 100 editorials and over 180 papers. ‘Textbook of Cultural Psychiatry’ won the 2012 Creative Scholarship Award from the Society for the Study of Psychiatry and Culture and was commended in the 2008 BMA Book Awards. ‘Mental Health of Refugees and Asylum Seekers’ book was highly commended in the 2011 BMA Awards. 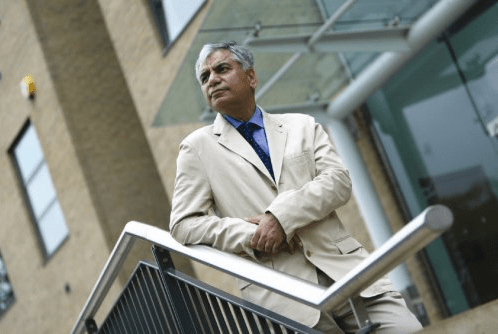 Professor Bhugra sits on the Education Committee of the European Psychiatric Association and is currently leading an international research project covering recruitment of medical students into psychiatry across 23 countries, funded by the World Psychiatric Association.